100 chlorine test strips per vial. This product can test levels of cholrine from 0-200ppm. Please remember that orders can take up to 2 business days to process prior to shipping. Be sure to select the appropriate shipping method for your situation. 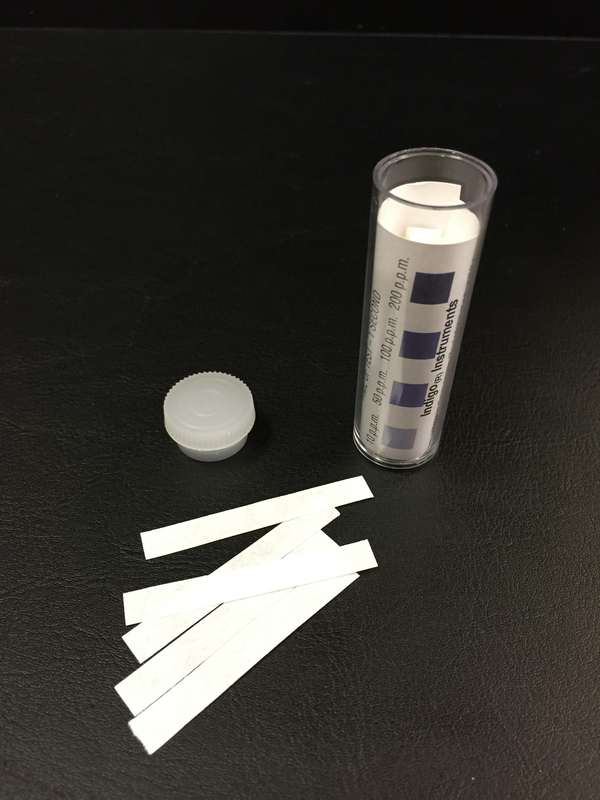 Chlorine test strips are used to test the chlorine levels of sanitizing solutions in restaurants, day cares, health care facilities and more. Each vial contains 100 paper test strips, instructions, and a colour comparison chart. The strips are 5cm long, and have a shelf life of 2 years (if stored in a cool and dry location).